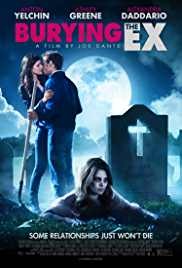 Burying the Ex is a 2014 American zombie comedy film directed by Joe Dante and written by Alan Trezza. The film stars Anton Yelchin, Ashley Greene, Alexandra Daddario and Oliver Cooper. It screened out of competition at the 71st Venice International Film Festival. The film was released on June 19, 2015, by Image Entertainment.